Outcross heifer from the Mitzi's sells! 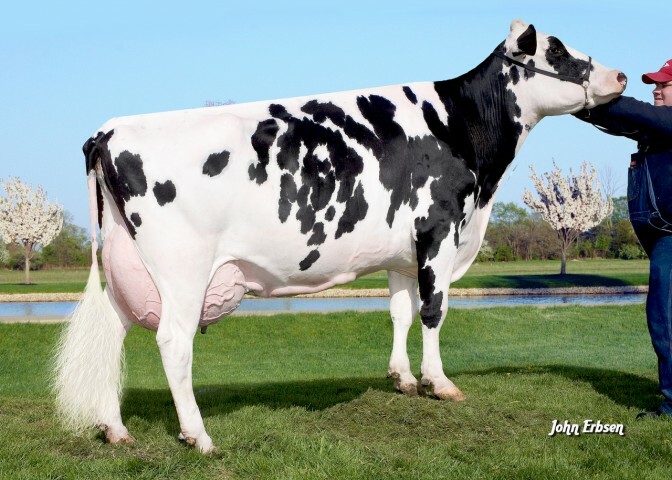 Selling as Lot 3 in the Minnesota Harvest Sale (November 19th) is a +2547G +2.49T Mogul and Supersire free Entail daughter from an already scored GP-83 altaJackman daughter of the huge producing bulldam Hendel Plt Marilyn 3021 VG-88 GMD DOM! Don't miss the opportunity to own a calf of this tremendous cow family, Hendel Entail Macey 4437 tested 150 points over parent average and is almost READY TO FLUSH! Several popular donors from Hendel Farms have been scored following the visit of the classifier last week. CLICK HERE for the highlights. 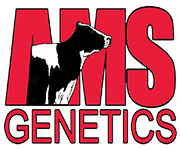 The donor section of Hendel Farms has been updated with a tremendous group of young donors. 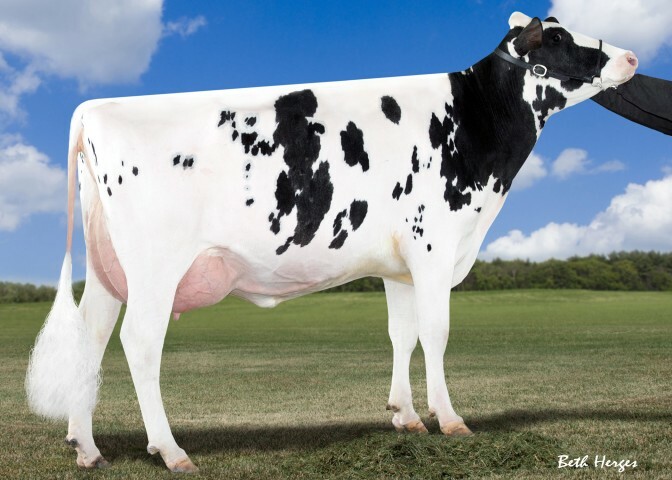 New are Four-Cal Halo Gwen 4018 a GTPI+2564 Halogen daughter backed by the De-Su BW Marshal Gerogia EX-90 GMD DOM. Also several high testing members fo the Oman Biffy Family have been added, Hendel Defender Becca 4030 GTPI+2489 (Defender x Cameron x Baxter), Hendel Montross Brice 4094 GTPI+2530 (Montross x Epic x Domain) and Hendel Racer Bea 4041 GTPI+2487 (Racer x Epic x Domain). 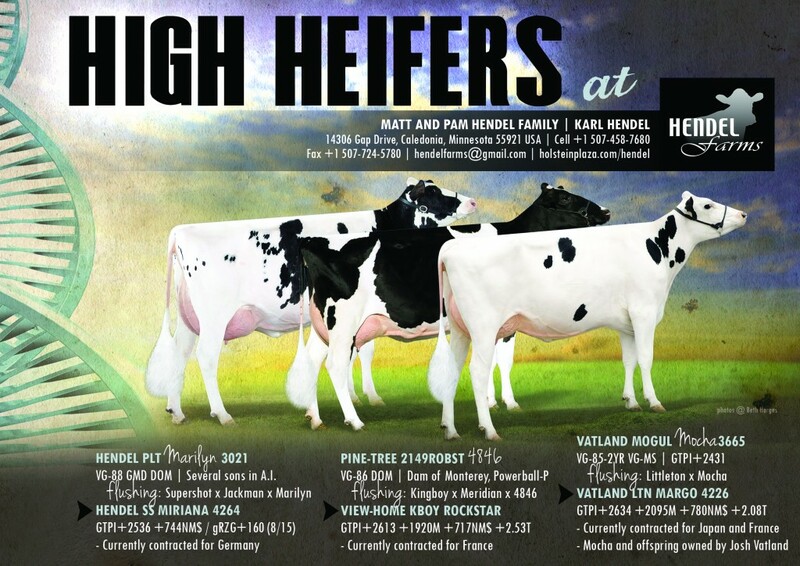 Hendel Farms will also be working with several family members of the Vatland O Man Mary 2007 VG-89 family including Hendel-Vatland Misty4147 GTPI+2527 (Kingboy x Mogul x Observer), Vatland Kboy Mosaic 4133 GTPI+2591 (Kingboy x Mogul x Observer) and the #1 GTPI Shakespear daughter in the breed Vatland Shak Mandy 4055 GTPI+2524. Several Holstein Plaza members are selling some of their elite animals this week in the Reno Spa-Tacular Sale at the Atlantis Casino, Resort & Spa in Reno Nevada. CLICK HERE to find out which Holstein Plaza members are selling. 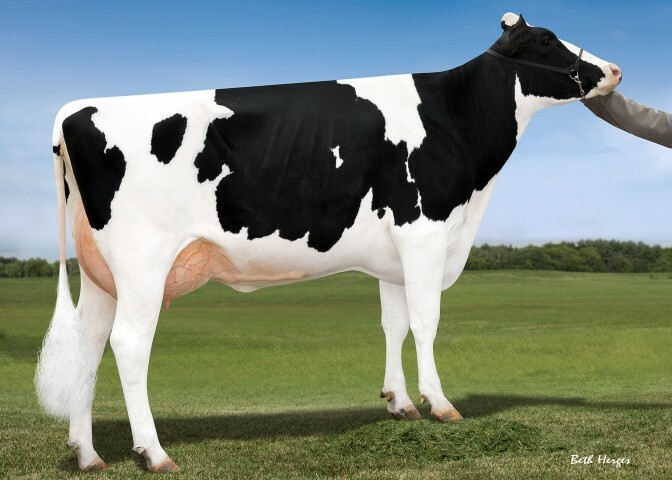 New photo of the VG-85-2YR Hendel Manoman Ada 3139-ET with a GTPI of +2240. Ada’s October 2012 McCutchen SELLS April 10, at the Canadian National Convention Sale in Ancaster, Ontario. Hendel Mctn Ashley 3713-ET GTPI +2334 GLPI+3047 DGV+3110 Conf +12! New photo of Man-O-Man Marelli... Marbella's highest daughter! 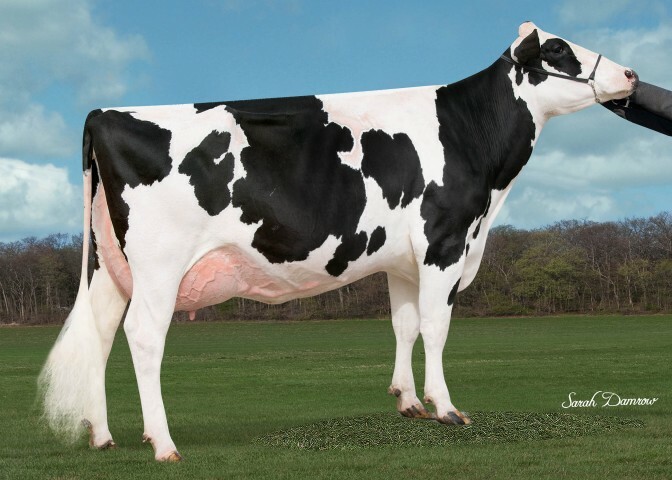 New photo of Ms GoldNOaks Marelli2161-ET the Very Good-85-2YR VG-MS Man-O-Man daughter of Gold-N-Oaks S Marbella ... and at +2135 GTPI she is Marbella's highest GTPI daughter in the U.S.
Man-O-Man daughters at Hendel Farms score VG! 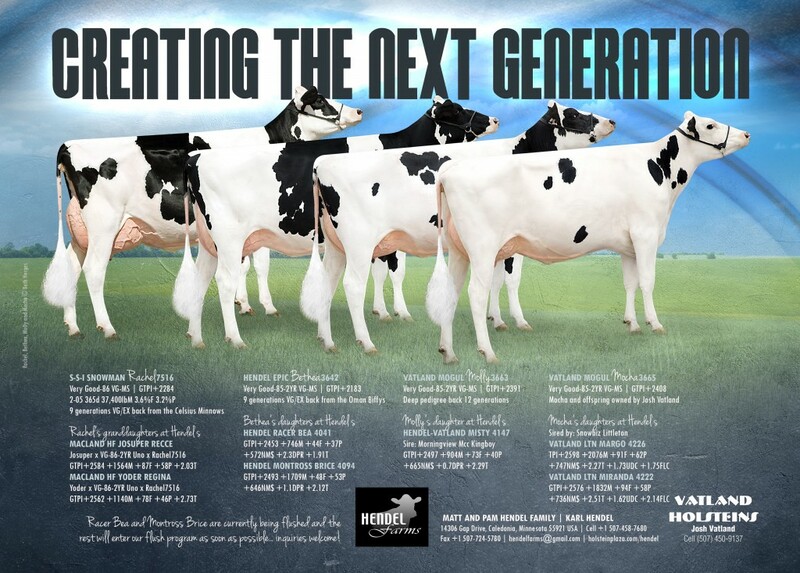 The exciting young Man-O-Man daughters featured in the latest issue of Hotspots from Hendel Farms both scored VG-85-2YR! 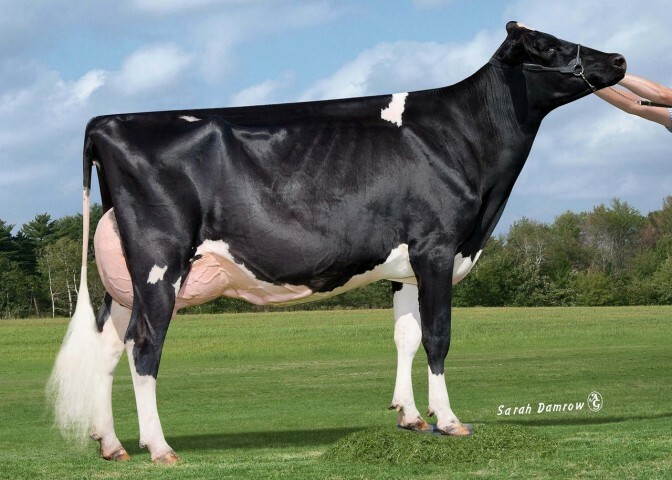 Hendel ManOMan Ada 3139-ET is the VG-85-2YR daughter of Shottle Asia EX-93 and Ms GoldNOaks Marelli2161-ET is the highest GTPI daughter of Marbella in the U.S.! +2391 Shamrock from the Oman Biffys Selling! 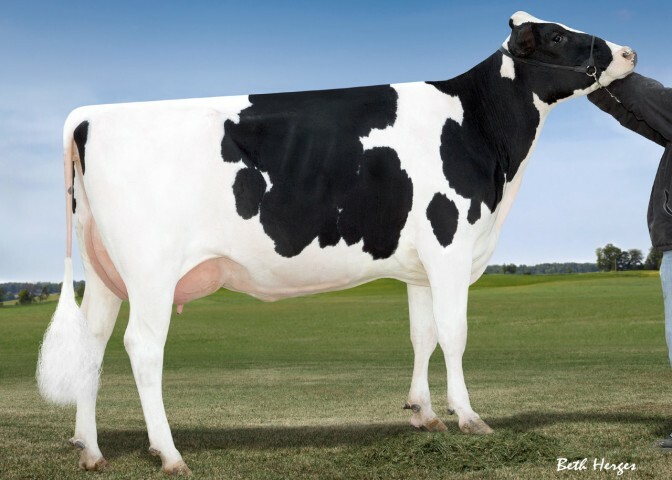 Extreme Opportunity in this +2391 GTPI Shamrock daughter selling on Friday night of World Dairy Expo in the World Classic Sale! Dam is a VG-86-2YR Boliver daughter from the great Oman Biffy... numbers that will take you to the top.